Online reviews matter, but buying them is unethical. So people will be finding new ways to generate legitimate positive reviews. One example: Grade.us builds a “review funnel,” channeling customers from their experience with you directly to review sites via URLs and QR codes. You must make it easy for fans to play up your business’ name. “After falling in love with all things social media, small business owners are cutting back, limiting their involvement to two or three tools, rethinking networking and introducing measures for their marketing efforts. Many have wasted precious time and money [on social media] in 2013 and now are looking to be more strategic and pragmatic about what’s working and what’s not for 2014,” says Donna Marie Thompson of Peak Profit Potential. Micro-shopping will continue to build momentum in the coming year. “Small and local business will be hot: Shopping local and locally grown will become more popular. People are recognizing that when they shop locally, this keeps dollars local,” says Bill Corbett Jr., president of Corbett Public Relations. Business owners should be looking for ways to build up their home-grown credentials in all their marketing. The tried-and-true will still hold sway. “Some ‘old’ techniques like traditional direct mail are seeing a resurgence as online mailboxes become more and more full and traditional ‘snail mail boxes’ remain relatively empty,” says Linda Pophal of Strategic Communications LLC. Regulars are the life-blood of any business and as such should be rewarded for their year-in, year-out devotion. As small businesses look to hold their ground in a still-uncertain economy, the smart ones will be giving their regular customers discounts, special sales and invitation-only events to help keep them incentivized,” suggests David Rusenko, founder and CEO of Weebly. “According to research recently conducted by Peer 1 Hosting, 81 percent of online shoppers will not shop on a site that can’t deliver a faultless online shopping experience. Further, 65 percent say they’ve abandoned an online shopping cart because of website time-outs and slow page loads,” explains Robert Miggins, SVP business development at Peer 1 Hosting. The ever-growing emphasis on online contact will bring with it a marketing imperative to keep pages working seamlessly. Mobile apps. Mobile messaging. Mobile advertising. Whatever your marketing strategy, make sure it fits on a phone or tablet. Do it strategically and thoughtfully—but do it. Smart phone = smart marketing. Calculate Marketing Return on Investment! Marketing ROI can been extremely simple and then again extremely complicated. Everyone has a blog, article, book, opinion about it, which isn’t surprising. Let’s apply the KISS principle by keeping it simple. Your firm’s Total Revenue last year. Your firm’s Total Advertising Expense last year. Your firm’s Total Referral Fees paid last year. Add Total Advertising and Total Referral Fees together. Divide that number into your Total Revenue number. That is your Marketing ROI. $1 million (Advertising expenses) + $2 million (Referral fees paid) = $3.33… which means you are generating $3.33 for every $1.00 you spend on advertising. To put it another way, this is an ROI ratio of 3.33 : 1. You may believe that referral fees are not a marketing or advertising expenditure. They’re just part of the cost of running a law firm. You should take out referral fees from this calculation. By removing referral fee costs changes things dramatically, from a ROI ratio of 3.33 : 1 to one of 10 : 1 increasing the efficiency of your marketing dollars (and your profits) by about ten-fold. Referral fees aren’t a fixed cost like rent. They are what you pay to acquire clients, which clearly makes them a marketing expense. If you don’t include referral fees in calculating your marketing ROI, you are artificially inflating your ROI and managing with flawed information. If law firms included referral fees in calculating their marketing ROI, they would find that these fees are a very expensive and inefficient use of their marketing dollars. Yet, most firms blissfully prefer to pay out 33% to 45% of their top line revenue as referral fees rather than consider paying out a much smaller percentage of their revenue as advertising. That is, they choose to accept a much lower return on their marketing investment. Why? First, most firms don’t calculate their marketing ROI. They are flying blind, with no idea of how efficiently their marketing dollars are working. Second, the referral fee system is comfortable; it’s the way things are done. Law firms who operate this way really aren’t focused on financial success. And that’s okay, money is not everything but if you don’t care about making money, why are you reading an article about return on investment? You examine your theoretical financials carefully at year-end. You find that your firm collected $10 million in gross legal fees. If you could choose one of the next two statements to be true, which would you prefer? You find that your firm paid out $3 million in referral fees on those cases and your ad budget is very small for a marketing ROI ratio of 3.33 : 1. You find that your firm spent $2 million on advertising in that same year and you have almost no referral fees paid out for a marketing ROI of 5 : 1. Your specific preference will likely determine your Advertising ROI and your outlook on your practice. If you have not yet figured out your marketing ROI, it is probably not the highest and best use of your time to start working on it now. First, improve your personal ROI by committing to doing whatever it is you do best (lawyering, managing, leading, inspiring, or dreaming) and hire a serious marketing professional to manage your marketing. Give them KPI’s (Key Performance Indicators) to obtain. You’ll be amazed by the results. Time and time again during my years of marketing law firms, I’ve seen a financial transformation occur when firms decide to base their marketing decisions on real information versus intuition or tradition or simply hope. Become Client/Customer Obsessed in 2014! The first thing that your business needs is their own database of record, which needs to be synched with your CRM (customer relationship management) tool. To gain a wider aperture of customer context, you need to gather that rich behavioral data – your customers’ web activities, the links they click, the keywords they use, the content that they read and share, and the campaigns they respond to. Once you have that core database, you need the “brain” to sift through that data. You need to map you data to the customer experience – that’s how you make the seemingly random buying process make sense. Decide which content should be sent to each segment, and which content should be send right after that. The third piece is multi-channel execution. Marketing automation allows you to send emails, or integrate with direct mail. Marketing automation now helps you to automate and measure inbound marketing as well – think social marketing and content marketing. Outbound marketing and inbound marketing, combined with rich data and mapping, brings customers the most relevant information, and fosters the most valuable relationships. The last piece, of course, is analytics. How do your customers move through the buyer’s journey? Which programs are driving the most revenue? This final step is about moving marketing from being a cost center to a profit center, and it’s also about continuing to nurture your customer relationships. When the marketing department or your consultant can justify spend, you can justify asking for continued investments in your customer relationships. Forget batch and blast. Segment your leads to each segment with relevant content. Garbarge In = Garbage Out: Make Your Database Clean in 5 Steps! Face it! Bad data costs your company money. If you can’t quantify the bad data, you can’t quantify the negative effects to your bottom line! Bad data infiltrates every database, in the form of duplicate contacts, irregularly formatted leads, and junk records. You can’t keep all bad data from entering your database, but once it’s in, you need to clean it out. Here are 5 ways to keep your database clean and in compliance. Once you start to get some traction in building out your database, duplicates are inevitable. So proactively scrub your data on a regular basis and eliminate duplicate leads as they come in. Of course, you need to delete with caution, even when there is a duplicate. So dive into both lead records, determine which has the most pertinent data (i.e., email address or phone number), and then merge the records accordingly. But who wants to sort through a database of thousands (potentially millions) of leads? That’s why your database automation platform and CRM should have rules for automatically de-duplicating lead records. This also comes in handy when you’re uploading lists — you don’t want to create a bunch of duplicate records every time you bring new contacts into the system. You can use alerts to stay even more on top of your database. Say your platform automatically de-duplicates leads based on email address. But what if a contact comes in that has a duplicate first and last name on your form, but a different email address? If you have alerts set up, you can be notified and proactively decide whether the record is a duplicate or not — after all, some people have the same names. Consider implementing a filter to hone in on records that have been inactive for a given amount of time. Why aren’t those contacts participating in your marketing campaigns? Are they still working for the same company? Once you’ve identified inactive leads, the next step is up to you. You may decide that some of your them are worth keeping, but keep them with caution; if those inactive leads are simply not interested, marketing to them may hurt your brand’s reputation. That’s why your platform should be able to automatically clean similar data values. That way, if you want to email all of your leads in the United States, you won’t leave any out because of dirty data. Of course, being the smart marketer that you are, I know that will segment the leads for you on a much more granular level, such as region, company size, or interest… but that’s another story. Some anonymous leads will write in “asdf@gmail.com” or “blah@hotmail.com” to avoid sharing their real email addresses. You don’t want these garbage leads polluting your lead database., so run smart campaigns to automatically identify records with bogus email addresses and then delete, blacklist, or suspend these contacts. You might be wondering whether you should delete employees of your competitors. Often, competitors will subscribe to learn (and potentially imitate) the ways you market to your customers. You can’t really consider these “leads” and there is no reason to market to them. On the other hand, if you delete them, you’ll loose potential insight into their strategy. Have you used any of these techniques? How do you keep your database clean? Let us know. Contact Miller Creative Strategies to learn more! Search Engine Optimization – Best Kept Secrets! more complicated than it really is. Press releases can be mastered, once you understand the format and distribution options. As you become more comfortable writing press releases, you might experiment by including video or more hyperlinks. For more tips on writing an amazing press release, contact Miller Creative Strategies. In terms of distribution, you may want to use an online press release distribution site, like Google News, or an industry-specific distribution channel. You can also send your release directly to journalists who you hope will want to write about your brand. If you do send your release to journalists, understand that their inboxes are already saturated with releases, so your best bet is to send your release out online, where you know it can do some SEO good. Contact Miller Creative Strategies to learn more! The BIG Problem with Implicit Opt-in for Email! There are legal definitions of spam — in the U.S., for example, spam can be classified as any email that violates the 2003 CAN-SPAM Act or any other countries’ bulk email laws. Canadian law prohibits senders from emailing anyone who has not explicitly requested that mailing, and Australian and European law require prior-consent. In the eyes of consumers, however, the definition of spam can be even broader and less forgiving. Any email they don’t expect. Any email they don’t want. Any email that prompts them to hit the “This is spam” button. Any email they might have signed up for, but later decide they don’t want. An easy way to opt-out. That’s why it’s crucial to build your email marketing list in a way that promotes trust in your brand. However, some common ways of building the list don’t always translate into this level of trust. Requires the least amount of effort on the part of both the company and the customer. There’s no place for a subscriber to drop the ball, which can happen when she’s required to “confirm” her opt-in. Quickly leads to a big list. have legal permission to send them. The subscriber doesn’t connect registering for something to your subsequent email. If a subscriber forgets that he opted in, or doesn’t realize he has opted in, the risk is high that he’ll mark your email as spam. This is particularly true when too much time has elapsed between subscriber sign up and your first communication. You got a name from a tradeshow list or other activity you sponsored. When a consumer registers for something you sponsored, lets you scan his nametag at an event, or drops a business card in a fishbowl, it does not necessarily mean he’s asking for future email marketing. If the recipient is not expecting your email, you may not be building trusted engagement. Someone handed you her business card. An executive handed you her business card after being introduced by a colleague at an event. Does this mean she wants to receive your marketing emails? Probably not. You already have a list of contacts. You give your admin your entire contact list to enter into your email database or CRM system. A month later, everyone on that list receives an unsolicited email from your company. This is a way to break trust — fast. In some countries, implicit opt-in is actually illegal. (Check the laws of the countries in which you market.) But even if you have legal permission, in general less consumer effort in the sign-up process generally means less connection to your brand overall. Less committed subscribers are more likely to mark you as spam, or actively or passively opt out of your emails later. There are a few techniques you can use to help mitigate these risks. Welcome Emails. When a new subscriber enters his information, an immediate auto-response email thanks and welcomes the subscriber. This email includes a customized message that tells him what to expect in future emails, and when to expect them. It’s courteous, and it also serves as a good way to begin earning the trust of your subscribers while setting proactive expectations. Confirmed or Double Opt-In. After the subscriber enters their email, the post-subscribe thank-you page may alert him to look for an email. Once he receives that email, he needs to click on a link or button to confirm the subscription. This separates the committed from the simply impulsive; those who click on the link really want to receive your emails – though there is always a risk that an interested subscriber will get distracted before she can click “confirm” in the follow-up email, or, worse, that your email will get lost or filtered. As a result, you may lose interested subscribers. Is Your Logo Effective? 5 Easy Steps to Determine! 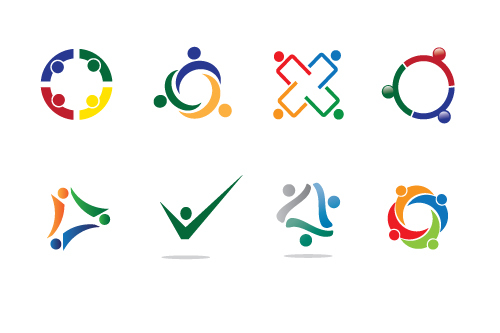 For most businesses, acquiring or changing a logo feels like a momentous step. A logo, after all, is the face of your brand. McDonald’s is inextricable from its arches. Nike’s simple checkmark possesses almost supernatural communicative qualities. But how do you measure the success of a logo? Short of a large-scale populist backlash on the order of the University of California’s recent re-design fiasco, success or failure is hard to quantify. There are, however, a number of questions you can and should ask as you consider a new logo. Here are the top five. 1. What was wrong with your old logo? current one no longer reflects your company’s character or target market (you’ve changed but your logo hasn’t), or it just looks dusty and dated (the world has changed but your logo hasn’t). The second reason is obviously quite subjective, so do analysis and tread carefully. A refresh can be a boon for business, but superfluous changes also pose a risk – at the very least, of losing what you paid for an unnecessary design service. 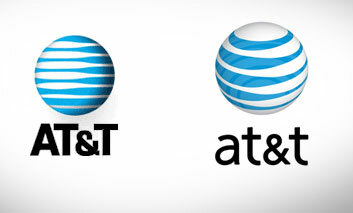 It could be that there was nothing really wrong with your old logo at all. 2. What do you want from your logo? Amid the excitement of getting a new logo, it’s easy to lose sight of how the item actually functions. Ultimately, the point of such a mark is to identify your business, but even this basic definition couches a question: do you want your logo to simply identify you as providing a certain service or belonging to a certain industry, or do you want it to distinguish you from competitors within that industry? If you own a dentistry practice, you may just want your logo to identify you as a dentist without the possibility of confusion. This is why so many dentists around the world use virtually identical logos (smiles, teeth, brushes, etc.) In most cases there is nothing to gain from setting oneself apart within the field– only a risk of alienating potential clientele. On the other hand, if you are looking to distinguish your brand from similar ones, it is worthwhile to choose a unique, non-obvious logo. 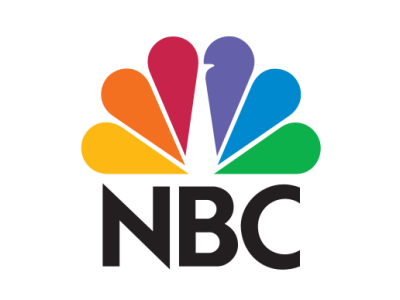 The link between a peacock and a television broadcasting network is tenuous, but NBC’s design nevertheless served the company well, quickly taking on iconic status. 3. Does it work across media? Integrate into a broader branding scheme? A good designer’s first order of business is to correct the layman’s tendency to think of a logo in the abstract. In fact, logos are generally material things: they exist on business cards, websites, store windows and billboards. That means they have to be legible at the scale of a penny and a hula-hoop alike, and as distinctive in black and white as in full color. An overly complex or awkwardly shaped logo may fail this test, even if it looks decent on a blank page. 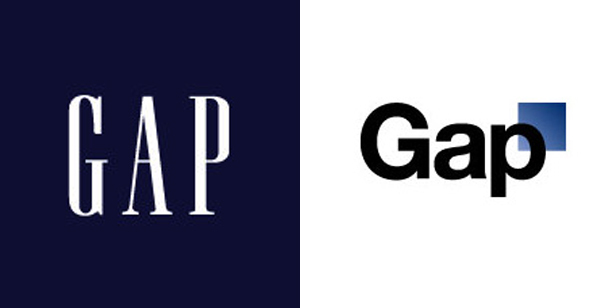 A great designer, however, will further propose a logo that supersedes itself as a stand-alone mark, instead forming a part of a cohesive, overarching branding scheme. Choose a color palette that you’ll be able to extend across a website and perhaps physical space. Select a typeface that pairs well with what you might use on your business cards or future ads. If you find that your logo constrains your various future design projects more than it opens up promising possibilities, then it was not successful. 4. What is the critical response to your logo and does it matter? friends are not. Their emotional responses certainly carry some validity, but remember that they might not have considered all the nuances of branding potential noted above. Second, not everyone is a critic – in fact, most people aren’t. Asking people to actively evaluate a logo sets up atypical conditions; most of your potential customers, unless they are graphic design enthusiasts, will not subject your logo to an exacting inspection. They’ll simply use it as a tool for identifying your business – that is, as intended. Once the logo is set and printed across your assets, you’ll have to weigh the occasional negative remark against the cost of re-design, re-printing, etc. 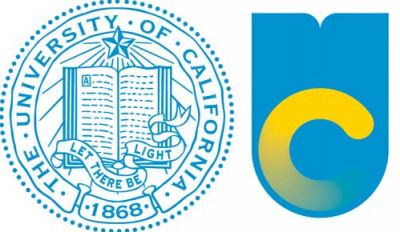 Short of a full on scandal like the ones precipitated by The University of California, The Gap or Tropicana redesigning beloved emblems, it is almost never worth giving in. Human psychology promises knee-jerk negative reactions to change, but people eventually come around. 5. Is your design cookie-cutter generic? As noted earlier, not every industry puts the same premium on an original-looking logo, and sometimes going into left field is even disadvantageous. 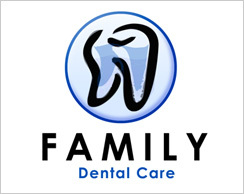 A dentistry logo probably ought to look like a dentistry logo. Still, there are certain overused, cookie-cutter designs – an abstract, v-shaped man leaping for joy, a ring of crescents – that are fundamentally empty, failing even to identify a business with any meaningful concept. Something like this may work in a pinch or on a very temporary basis, but pay no more than whatever you think zero thought and a couple of minutes with Adobe Illustrator are worth. designer who is skilled, trustworthy and responsive, who understands your business mission but isn’t afraid to challenge your design ideas, who thinks long-term and will be there down the road to carry out the innumerable little tasks that may arise, is invaluable. Contact Miller Creative Strategies to learn more about logos and their effects on your business. One of the most powerful aspects of email marketing is that it can be tested (and thereby optimized). Following generic “best practices” or fixed “rules” is not a path to success, because what works for one audience won’t necessarily work for yours. Testing is your biggest ally. You should always ‘test for the best’ in your email campaigns. Don’t forget that small differences can be significant. This is especially true if your sample sizes are large. Contact Miller Creative Strategies, LLC, to learn more! Face It – Your Business Can’t Survive without Social Media! Social media is probably one of the most essential tools in today’s business. It may be difficult for businesses to survive without LinkedIn, Twitter, and Facebook accounts as they help to increase customer base and generate leads. While Facebook has over 800 million users, Twitter has about 200 million users. In addition, a blog with regular comments goes a long way in enhancing business effectiveness. Those who stop to ponder over the benefits of social media marketing are probably not aware of the immense importance of social media. When you make your presence on social media sites, customers begin to trust you because you are interacting with them and answering their queries. Yet another advantage is speed. If your media message impresses people, it readily goes viral and thousands of people become your instant audience. But the real advantage of social media is that your constant presence along with content generation in your field of expertise makes you well-known. The community of followers and contacts respect your authority and trust you. Social media offers you all the advantages of marketing at literally no cost. Your business reaches hundreds and thousands of people for free. In addition, unlike other marketing strategies, this method is a two-way traffic as you can communicate with your contacts and refurbish your image as well as address their problems. There are several tools that can measure the effectiveness of social media marketing. Some of them are Google analytics, page rank checker, Klout, and HootSuite. Page rank checker will let you know the page rank of your website from 0 to 10 with the help of Google algorithm. Klout is also a social media measurement tool that lets you know your overall influence across networks. The score range in Klout is between 0 and 100. HootSuite lets you analyze your traffic growth. Google analytics is best suited for testing market effectiveness, while Facebook insight is ideal for clout analysis on Facebook. You will never know how effective your social media marketing is unless you are able to track your marketing efforts. In other words, you need to know how big your audience is. You also need to track different kinds of statistics including their activities, likes, visitors to your blog, and the time they spend there. There are social media applications that can help you analyze statistics in real time. Cyfe is one such application that will help you analyze data from Google analytics, Twitter, PayPal, Facebook and several other sites. Other than your reach, engagement is yet another measure of your marketing efforts. Engagement in context of social media means the number of people that engage with your content through subscription or likes. It includes comments, retweets, sharing of your posts, youtube ratings, and clicks. Finally, conversions let you know the number of people who have taken an action in repose to your content which includes lead generation, sales, and registrations. Social media is only as good as its effectiveness. So, just being present on social media sites does not promote your business efforts. But if you are active on social media sites, you need to know how effective your campaign is. In other words, your efforts need to be measurable for which there are several tools you have for utilization. What is Co-Branding and How Can It Be Used to Help Your Business? How do you meet your marketing goals with a small staff and a tight budget? It’s a crucial question almost every marketing team on the planet is struggling with right now. Easy answers are tough to find. We can tell you, though, what is working for us, so that you can grab an actionable insight or two. Our strategy boils down to one odd, little word: co-marketing (or co-branding – a term that is used quite often). It’s all about leveraging the resources and relationships you have, rather than worrying about all of the shiny new things you don’t have the time or money to do. Co-marketing is the process of aligning your company’s interests, resources and marketing muscle with other like-minded companies to accomplish much more than you might on your own. The concept has been around a long time in advertising. Any airline magazine has ads with the Top Steakhouses, Top Seafood Restaurants or even Top Plastic Surgeons. Basically, these similar and complementary companies band together and unite their advertising budgets to cut the cost of an ad by 10 times or more (depending on the number of participants). And it isn’t all about just saving money. It’s also about brand and credibility. Putting all of these top names together dramatically increases brand recognition, customer value and customer retention. Every time business travelers fly to a location where one of these top providers is located, they have a ready-made reference to help them find a good meal … and, if need be, a top-notch surgeon. Make it a win-win: Identify partners that align well with your business. Show them the value of joining forces with you by sharing data about what results they can expect based on past successes. Give more than you get: Selling your value to somebody else is the easy part. Strive to exceed your partners’ expectations by throwing all of your marketing might behind your joint efforts. Don’t hold back and expect your partner to do the heavy lifting. Make it easy: Asking somebody to join you in a marketing campaign is kind of like inviting them over to a backyard barbecue. The less you ask them to do or bring, the more likely they are to show up smiling. Create a simple checklist and a promotion kit, complete with sample emails, tweets and other collateral, and share these items with your partners. Do a debriefing: After every webinar we do, we link up with our partner for a quick debriefing call to review what went well and what we can improve on next time. This step is easy to overlook in the hustle and bustle of a busy day. But it’s an absolutely critical step. If you use these four tips, you’ll run successful co-marketing campaigns. And you’ll also build lifelong relationships with valuable business partners.